Sophie Andrews-McCarroll sits down with the incoming CEO of Science Gallery International to talk about the global model pioneered in Trinity. The futuristic design and freestyle exhibitions of the Dublin Science Gallery in Trinity is often taken for granted by the students of the College. The ceiling to floor windows, which provide a welcoming contrast to the fortress-style walls of the College, inviting members of the public to interact with the work of the university in a forum unlike any other. The Dublin Science Gallery is the first of its kind, bridging the gap between art, culture and science and setting an international precedent for engagement with science, particularly among a younger audience. The University Times spoke with Andrea Bandelli, the incoming CEO for Science Gallery International about the development of Science Gallery, which aims, according to its mission statement, “to ignite creativity and discovery where science and art collide”. Bandelli succeeds Michael John Gorman, who was also the founding director and manager of Science Gallery Dublin since its conception in 2007. For Bandelli, and Science Gallery International, the cultural element of the Science Gallery is one of the most unique and dynamic elements of the international programme, something which will be enriched through global expansion. Bandelli himself comes from the unique standpoint of a broad international background. 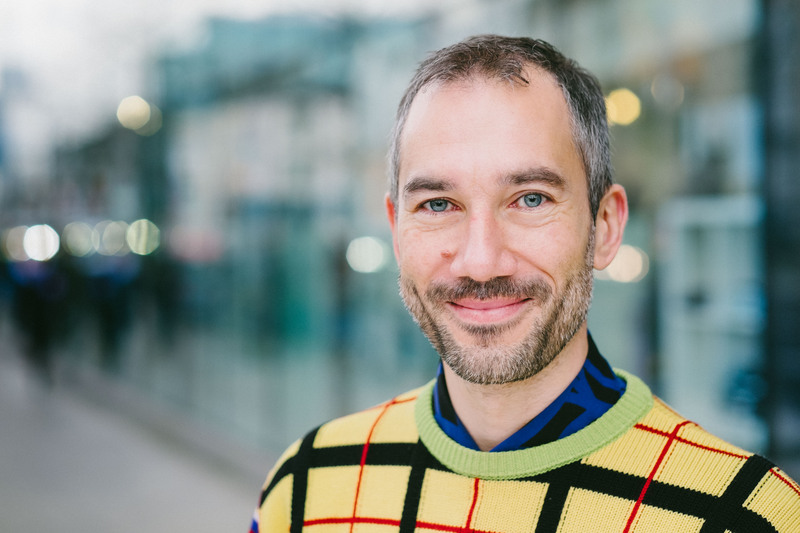 Born in Italy, where he completed his undergraduate degree, he pursued his PhD in Amsterdam, so his subject matter – science centres as a platform for scientific citizenship – leaves him in a unique position for his new role. He has worked on projects in Belgium, the Netherlands, UK, Italy, Czech Republic, Ireland, US and South Africa. Bandelli is keen to maximise the international element of the Science Gallery model to its full potential by means of a form of cultural exchange. “When you start to implement and use this model in other [international] contexts, then the real discovery happens”, he tells us. He asserts that Science Gallery “is definitely not like a cookie cutter thing, it’s not a franchise”, continuing that “the fascinating thing is that by adapting the model in different locations, everybody learns”. In opening ourselves and the way we view the world to different cultural horizons, “we learn a lot … [of] things that we cannot see because we are not aware of our assumptions”. For Bandelli, “if you are not confronted with a problem, you don’t know that there is a problem”. He is confident that the Dublin Science Gallery will continue to learn from the international model “because that is the key thing you know, nothing is fixed in stone”. What does this mean in real terms? Bandelli explains the system of exchange and programme development in countries in which science galleries are being initiated: “The cultural development is completely local. We do have staff exchange, so people from the different locations are exchanging and travelling. Soon we’ll have the director of Science Gallery Melbourne for a couple of weeks to learn in Dublin – Dublin also has the function of being the place where staff can really see hands on what it is to run a science gallery.” Dublin, in turn, can learn from the means by which other universities in other cities have begun to develop their science galleries. Bandelli asserts that “Dublin, they can learn a lot from the experience of the programming and pop-ups and street activities”, which science galleries still in their infancy in certain cities have begun with. As well as being a place of cultural and scientific exchange globally, Bandelli is enthusiastic about the gallery’s role in opening up the realm of science for those who haven’t come from a background of privilege. In general, “engagement with science follows higher education, and being male, and a lot of privilege actually”. But the role of cultural centres and science galleries to provide a forum for universal access to the world of research and technology appears to be crucial in Science Gallery International’s approach. Bandelli asserts that science galleries and centres can truly “enable people, for instance, with lower education to participate in discussions and debates. So there is a lot of potential there to offer opportunities to those who would otherwise not have those opportunities”. Science Gallery International is hoping to expand to eight locations globally by the year 2020. Bandelli states: “we are halfway there, but we still have four years to go before 2020, so I’m sure we’ll meet that!” Science Gallery London and Science Gallery Bengaluru are both due to open in the autumn of 2017, with a further gallery under development in Melbourne to be opened by 2018. In the meantime, students of Trinity can continue to appreciate and explore the exhibitions of the prototype on our doorstep, knowing that the same exhibitions will be displayed and adapted worldwide in what is a groundbreaking step in a new direction of public exhibitions, displays and interaction between universities and the public in a hitherto unexplored manner.